On Friday January 17, 2014 I had the honor of presenting three 50 Year Certificates at Riverton Grange. As I sat and listened to a snippet of their history it made me think about how many members came before us to build the Grange and how for many of us the Grange’s success is a normal occurrence, not too many of us make a conscience decision that today my Grange will succeed. We are active to the best of our abilities for our given situations and we support our Grange in any manner possible. That’s what we do, right? What about the Grange that consciously decides to not be successful and close their Grange. This is indeed a conscious decision, many times promoted by very few members, sometimes only one. We expect EVERYONE to keep our Grange going but we let a handful decide to disband us. It just doesn’t seem right to me. I understand these decisions are not easy ones to make, but where would we be today if our founders called it quits when they hit a rough spot in the road. 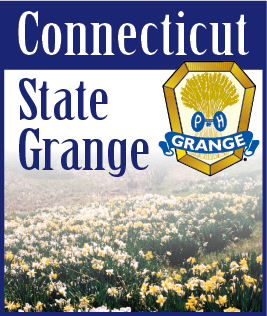 When they were faced with trials and adversity, they forged forward, telling the story of the Grange louder and louder, making sure they were marketing to the right crowd, telling them how the Grange needs them and how the Grange could benefit their needs professionally and personally. When this great organization was formed across this country our leaders did not take NO for an answer, they did not make excuses as to why no one would join the Grange. No, they showed these citizens how as a collective voice the Grange could and would make a better manhood and womanhood for everyone. The circumstances are no different today. Brothers and Sisters, it is time we go back to the basics, therefore we have invited Michael Martin, the National Grange Leadership & Membership Development Director to conduct a Membership Growth Training “Grow your Grange-Impact your Community.” This will be held March 23, 2014 from 1 PM to 4 PM at Ekonk Community Grange Hall. This is open to EVERY member who is interested in the future success of their Grange, because remember, the decision to keep your Grange active and successful needs to be a conscious decision.